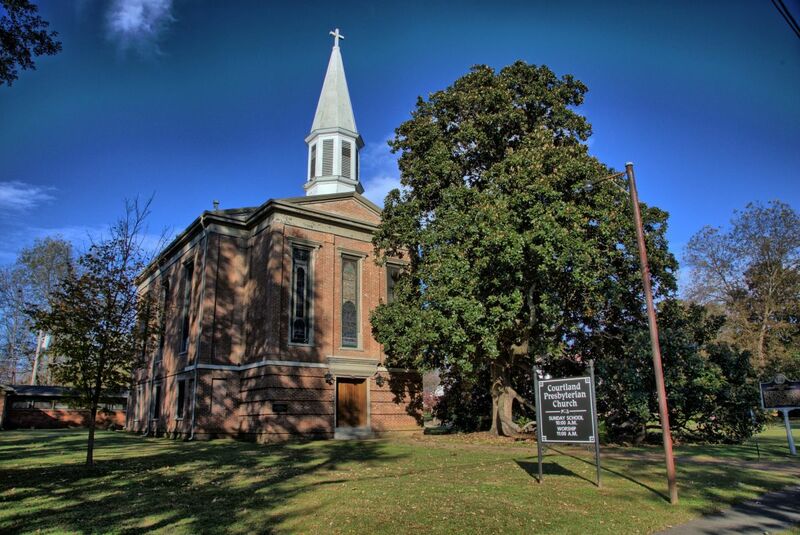 Built in 1821 the Church of Nazareth in Courtland, as it was first called, has served Courtland as the second oldest Presbyterian Church in North Alabama. In 1957, the church was narrowly saved from a fire by the combined efforts of Decatur, Town Creek, and Courtland firemen. The following two years, they continued to hold services downstairs while the structure was being rebuilt.